Mark is more of a coffee lover than I, but I fell in love with the aesthetics of the machine itself when I checked it out at L'Oreal Fashion Week. 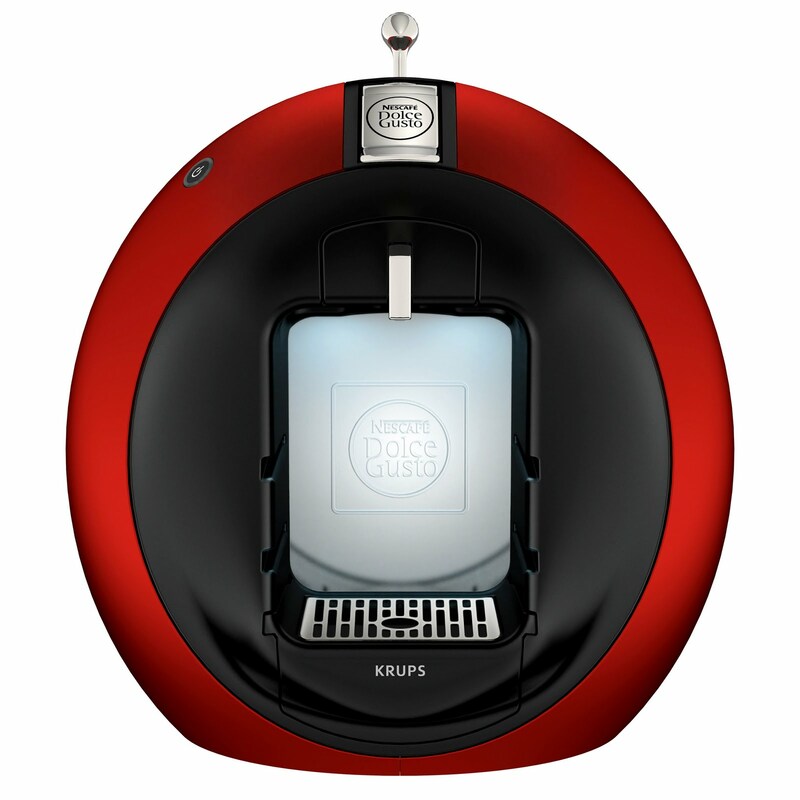 The stylish Krups Nescafe Dolce Gusto Circolo comes in a number of different colours (red looked sleekest in my opinion). It retails for about $179.99 in Canada (plus the coffee and milk steamer capsules need to be bought but it appears on the Sears website that you get a starter pack of capsules when you purchase it, and the machine is currently $40 off). I figure if you're looking to take your home coffee experience to the next level, this is a good way to do it. You can buy a variety of different cartridges, everything from macchiato to chococino to cappuccino - I tried the cappuccino and found it really delicious, it tasted like something you'd get at a more upscale coffee shop.